This year I am donating the above mosaic titled "Mountain View III". 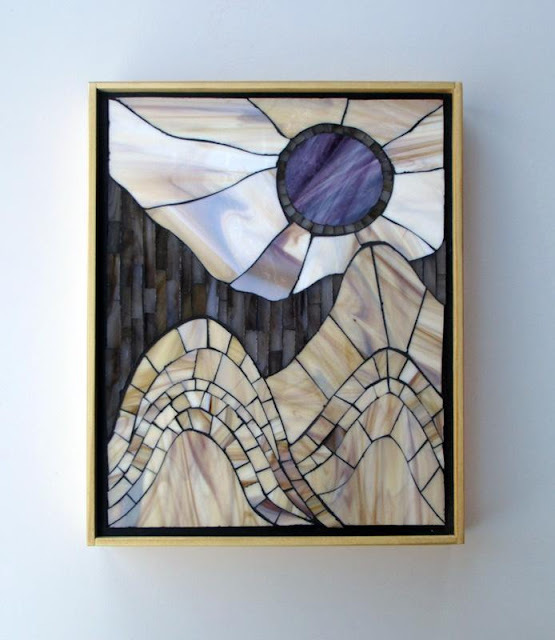 The mosaic depicts an abstract mountain scene in neutral colors with subtle purple accents. It is inset in a custom floating frame made with raw pine with a satin finish. With the frame the mosaic is 12" high, 9" wide and 1.5" deep. The mosaic is singed b on the back where it also has a hook for hanging.